The MacDowell Colony has nurtured some of the nation's most influential talents in the creative arts, from Edward Arlington Robinson and Thornton Wilder to Leonard Bernstein, Milton Avery, and Alice Walker. 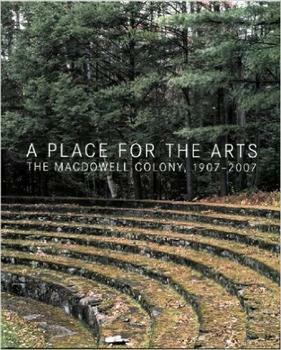 Founded in 1907 in Peterborough, New Hampshire, by the pioneering composer Edward MacDowell and his wife, Marian, the MacDowell Colony soon became a catalytic element in American culture. Based on the radically simple idea that creative people work best when they have time, space, privacy, and the opportunity to interact with fellow artists, the Colony has for the past century provided individual studios as well as living accommodations to thousands of writers, visual artists, composers, filmmakers, architects, and interdisciplinary artists who have gone on to chart the course of the nation's artistic life. Richly illustrated with original and vintage photographs, this volume includes a colorful history of the Colony, as well as insightful essays by leading cultural commentators Vartan Gregorian and Robert MacNeil. In addition, it contains pieces by former MacDowell Fellows - Pulitzer Prize-winners Michael Chabon, Paul Moravec, and the late Wendy Wasserstein - on what it means to make art in America. "A Place for the Arts" documents what this country and the rest of the world continue to gain from the unique support MacDowell provides to the creative process. The book also includes contributions by Joan Acocella, Peter Cameron, Carol Diehl, Verlyn Klinkenborg, Robin Rausch, Ruth Reichl, Jean Valentine, Jacqueline Woodson, and Kevin Young. Carter Wiseman is President of the MacDowell Colony and teaches at the Yale School of Architecture. He was the architectural critic at New York magazine for sixteen years, and he has written on architecture and design for Newsweek, Architectural Record, Interior Design, ARTnews, and American Heritage, among other publications. He is the author of I. M. Pei: A Profile in American Architecture (2001) and Twentieth-Century American Architecture: The Buildings and Their Makers (2000). Mr. Wiseman was a Loeb Fellow at Harvard's Graduate School of Design.